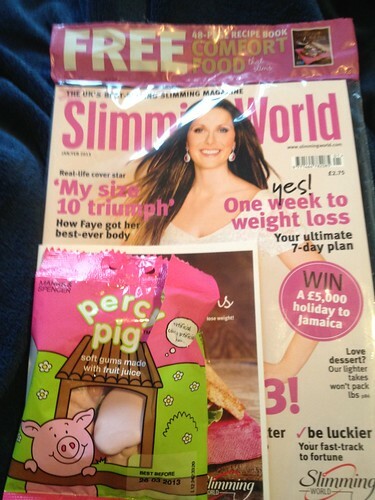 This afternoon I lay on the sofa and read the new Slimming World Magazine and ate a packet of Marks and Spencers Percy Pigs. I suspect that was rather counterproductive! 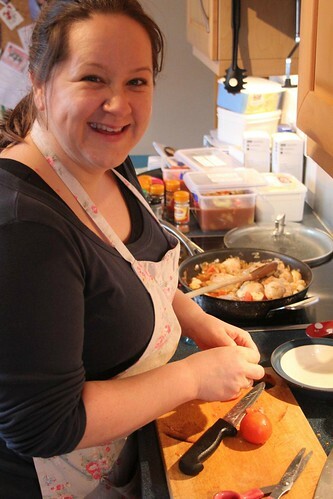 As soon as we move into our house and are settled I am intending on restarting on the Slimming World diet. It worked for me before, largely because I can eat proper food, and hopefully I will be able to lose all the weight I put on during pregnancy. Until then, I shall enjoy the Pigs! The Mister and I took a late afternoon wander down to the beach. The tide was high and the sun was low and it was just beautiful. We sat for a few minutes on the sea wall before walking along the road and home. 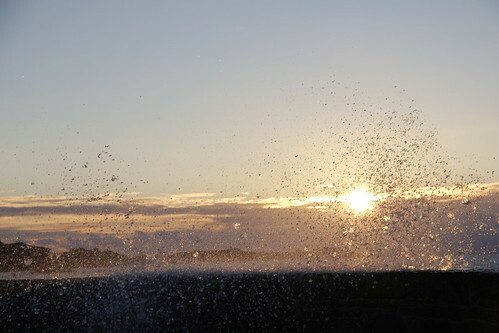 On a high tide the sea comes right over the wall and tonight it seemed to be sparkling in the sunlight. Gorgeous. This was my dinner tonight and it was delicious. 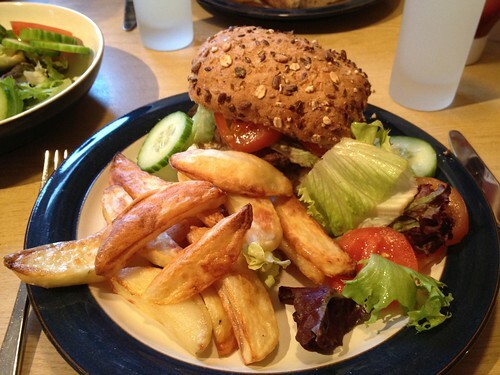 A Slimming World burger in a bun with Slimming World chips and salad.